Bad Kreuznach and Bad Münster am Stein-Ebernburg are the entrance to the Naheland region, a fascinating hiking area. Bad Kreuznach is the gateway to the North Palatine Hills. A 16-km trail winds through and around Bad Kreuznach/ Bad Münster am Stein-Ebernburg. It gives walkers a flavour of the natural beauty of the Nahe Valley. 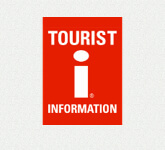 The TourNatur trail has been awarded the German Hiking Seal. Rock formation, river valley, forests, vineyards and meadows, spa gardens, castles and breathtaking vistas - this region has everything a walker is looking for. Highlights and points of interests are especially the ruins of Rheingrafen Castle, Salinental valley and the Rotenfels massif, which is the highest vertical rock wall in central Europe. Discover the best and most attractive hiking trails in and around Bad Kreuznach. With 11 different paths to choose from, everyone is bound to find one to suit them. Try them out for yourself! Maps are available at the tourist information offices in Bad Kreuznach and Bad Münster am Stein.